Having barely escaped the clutches of a serial killer, Claire Moore has struggled to rebuild her life. After her terrifying encounter with the man the media dubbed The Black-Out Killer, she became an overnight celebrity: a symbol of hope and survival in the face of pure evil. And then the killings stopped. Now ten years have passed, and Claire remains traumatised by her brush with death. Though she has a loving and supportive family around her, what happened that night continues to haunt her still. Just when things are starting to improve, there is a power cut; a house fire; another victim found killed in the same way as before. I LOVE a book that keeps you guessing but I especially LOVE a book that has a final twist in the epilogue! Claire is living a nightmare over and over again as she tries so hard to move on from a traumatic experience a decade ago. She has a great support system of family and friends and has even met a nice man who adores her! However she is terrified of her past and continues to relive the moments of that horrid night. Just when she seems to be making progress, more killings take place! Is there a copycat killer? Was the real killer ever even caught? Well you must read this thrilling book to get to the bottom of it! I didn’t see the end coming! Then… I didn’t see the epilogue coming! Darren O’Sullivan was born in Slough in 1982 but moved to Peterborough when he was 17 to train in performing arts. He has been working creatively ever since, first as an actor for the stage, then director. 5 years ago he felt inspired to write theatre and from that came the idea to develop a novel. 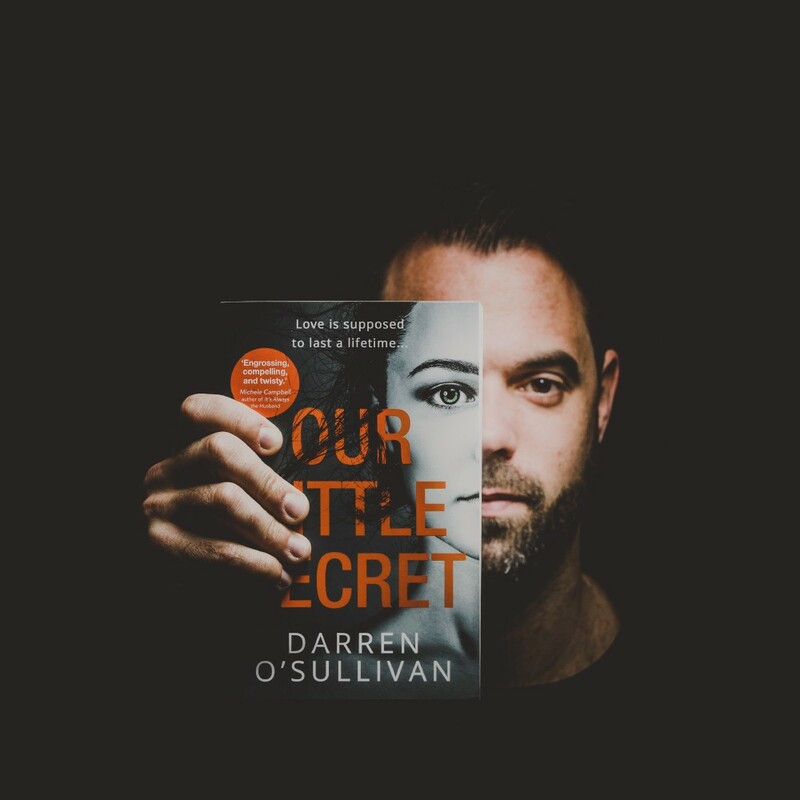 Following being accepted in the Faber and Faber novel writing programme in 2015 he fine tuned his hand and during that 6 month training programme his debut novel Our Little Secret was born.